This elevated pole house can be easily adapted to many different kinds of landscapes and terrains. The rear wall of the structure is made of hollow bamboo cross-sections, which allow light to percolate into the house at different intensities and with different shadow-plays throughout the day. 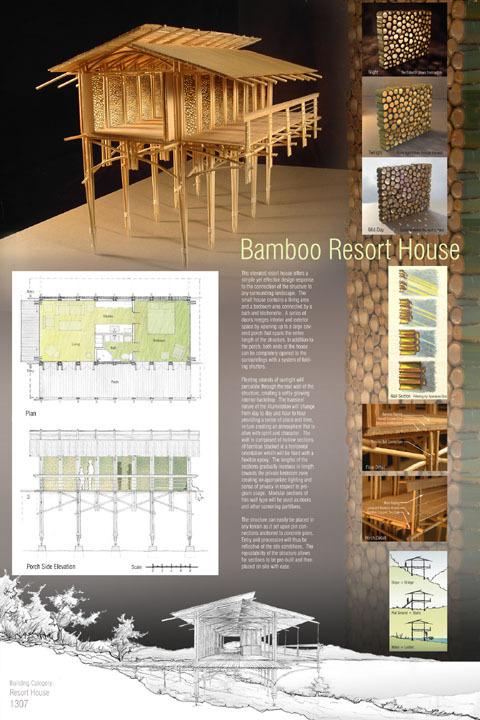 Bamboo is used extensively throughout the whole structure.